Washington Gov. 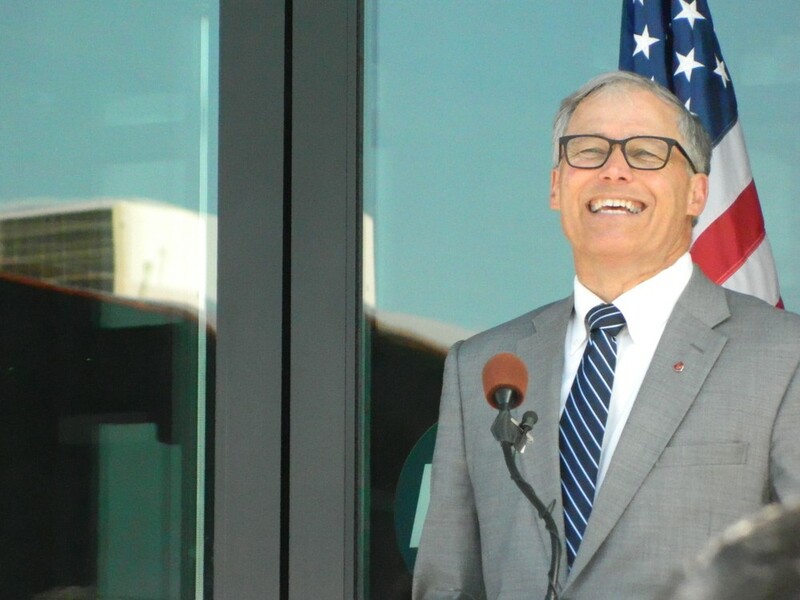 Jay Inslee had a laugh as oil-train protestors confronted a smiling President Barack Obama at a fundraiser. Efforts to dig deeper into Spokane police interactions with citizens by RACE have slowed due to a lack of funding, recent instability in police leadership and bad timing. Eastern Washington University professor Ed Byrnes partnered with Spokane Police Capt. Brad Arleth to collect data on officer contacts with citizens, broken down by race. In March 2015, Byrnes and Arleth released a report that showed SPD officers stop African Americans and Native Americans disproportionately, but cautioned that more context was needed to understand those numbers. Community members expressed concern, but praised the efforts as a positive step and looked forward to a second report, which was expected later that year. It never came. Now, Arleth says, they've collected data for about 28,000 stops spanning 18 months, which offers a much more precise picture of police and citizen interaction. This data indicates that Spokane police stop African Americans and Native Americans 5.9 percent and 2.8 percent of the time, respectively — a disproportionately higher rate than their representation in Spokane's population. Again, Arleth cautions that a more in-depth analysis is needed to contextualize these results. To do that, Byrnes says, he needs more time and money. Byrnes asked the city for compensation to pay for one of his classes at Eastern so he can devote time to analyzing the data further, but has not heard back. Gloria Ochoa-Bruck, the city's director of multicultural affairs, says Byrnes' proposal was not included in this year's budget, due in part to confusion among the three different police department leaders since September 2015. However, Arleth and Byrnes plan to meet with Jacquie van Wormer, administrator of the Spokane Regional Law and Justice Council, to discuss expanding the project to a regional level. Anti-oil-train protesters interrupted President BARACK OBAMA'S speech at a fundraiser held last week in Seattle for Washington Gov. Jay Inslee's re-election campaign. "Mr. President, use your authority to ban oil trains now!" shouted a protester during Obama's speech. Obama, at first, strained to hear what the topic of the shouting was before responding. "This is what I love about the Democratic Party," said a smiling Obama. "Doesn't matter how much I do, I always have a bigger to-do list." The president noted that he helped negotiate the Paris Agreement, a global accord intended to address climate change, but apparently it wasn't enough for the protester. "So I still have six months, give me a little time," he continued, referencing the time he has left in office. "We're going to use those six months." Concern about trains carrying volatile crude oil, which regularly pass through Spokane and North Idaho, is increasing in the Pacific Northwest. Earlier this month, an oil train derailed in Mosier, Oregon. The derailment, which federal regulators blamed on Union Pacific for failing to maintain its track, caused an oil spill, sparked a fire and prompted the evacuation of the town on the Columbia River. In response, local officials and Oregon Gov. Kate Brown have called for moratoriums on oil trains.